Looking to improve your inbound marketing campaign and golf game at the same time? Check out these 5 tips to learn how you can improve both! As I sat and watched the U.S. Open this past weekend, it dawned on me that the concept behind golf is a lot like inbound marketing. For those of you who don’t know me, these are two of my favorite things in life. Golf and inbound marketing? Really? How are those two anything alike? If you think about it, the following 5 tactics can be applied both on the golf course and to your next inbound marketing campaign. The most important part of your inbound marketing campaign starts with planning. Set a clear goal on what you want to accomplish with your campaign. Are you trying to promote a certain product? Do you want to get more email subscribers? Whatever it might be, make sure you have a solid plan before starting the actual heavy lifting. When creating HubSpot workflows, it’s very important that you plan your emails, lists and goals ahead of time. You want to put your workflow in position to get the user to convert on whatever it is you are marketing to them. Well-thought-out emails and workflows can make or break your inbound marketing campaign efforts. So what about planning for golf? Depending on what type of course you’re playing, you’ll need to decide which clubs you want to bring with you. Since you can only carry 14 clubs in your bag, you’ll need to decide which clubs will serve you best for that particular course. Should you carry extra wedges? What about a hybrid club to get you out of a tough situation? Of course there’s the elements you’ll have to plan for as well. A windy day on a links course can really impact your game compared to a round on a parkland course or a course in the desert. One of the biggest issues we run into as marketers is the willingness to be patient. It’s important to remember that marketing isn’t a magic trick. We can’t just snap our fingers, configure some links and rank at the top of the SERPs. It’s patience and well-written, optimized content that will take you to the Promised Land and help you build your online empire. Make sure you have a strong content marketing strategy in place as well. It’s also important to factor in these SEO tactics to help your content rank as best as it possibly can. With golf, patience is the name of the game. If you hit a bad drive and are put in a position where you aren’t sure you can make it to the green with your second shot, it’s best to layup and set yourself up for the next shot. Trying to force it in golf will mostly likely leave you falling down the leaderboard. 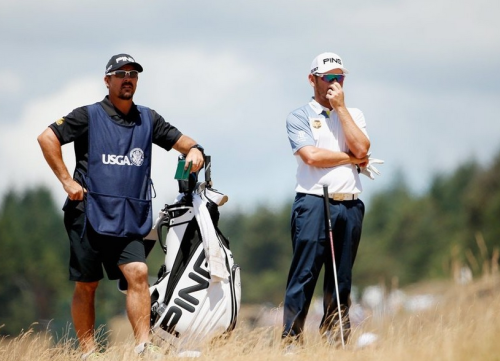 Louis Oosthuizen and caddie Wynand Stander wait on the eighth hole at this year's US Open. A/B testing is something that all marketers should be practicing. A/B testing is a great way to determine which marketing strategies produce higher results and which parts may need a refresh. As marketers, we need to keep up with new industry changes and test these developments to constantly improve opportunities for clients. At Groove, we like to A/B test as much as possible. Whether it is click-through rates or open rates, there is always something that can be A/B tested. When it comes to practice rounds leading up to the weekend tournament, golfers will use this time to test out the course. Among many other things, they will hit shots from several areas around the greens and from out of the bunkers, and they will test the greens to get a feel for where the big breaks are and how the ball will roll depending on where the pin placement is. In order to run a successful inbound marketing campaign, you need to make sure you have the right support in place. Supporting tools such as HubSpot, a CRM system and great teammates/co-workers are a good start. One of my favorite features when it comes to HubSpot is their support team. If I ever have a question when I’m doing anything in Hubspot, I can simply give them a call and they’ll walk me through what I’m working on and will almost always have a solution for me. The golfer’s caddy is his/her biggest supporter (other than their family members). While out on the course, the caddy will recommend what he/she thinks the best play is if the golfer is unsure. The caddy will also help the golfer read the green for any breaks and will help the golfer select the right club depending on the elements nature brings in. 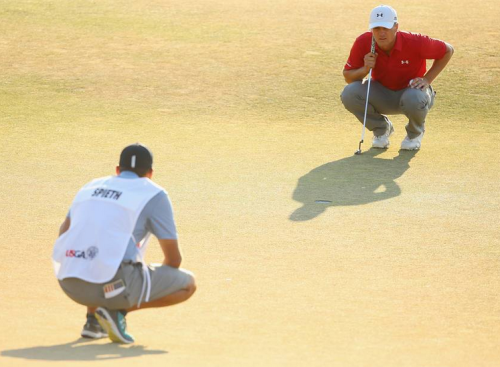 2015 US Open Champion Jordan Spieth lines up his putt with caddie Michael Greller on the 18th hole at the US Open. Of course, just like with everything you do in life, it’s all in the details. While working on HubSpot workflows, the details are very important. Not selecting the right starting smart list, goal list or if/then branch could cause your whole workflow to either not work or track the wrong information. Your content marketing needs to be very detail oriented. Your writing needs to have a purpose and it needs to be well thought out if you want it to rank well and attract people to your website. When it comes to putting, that’s where you earn your money in golf. (Sorry, DJ. Too soon?) Any professional will tell you that paying attention to the details on the putting surface is probably one of the most important aspects of the game. Make sure you factor in the wind and whether you’re hitting uphill or downhill when stepping up to your next shot as well. Small details like that can have a major impact on where your ball ends up next. 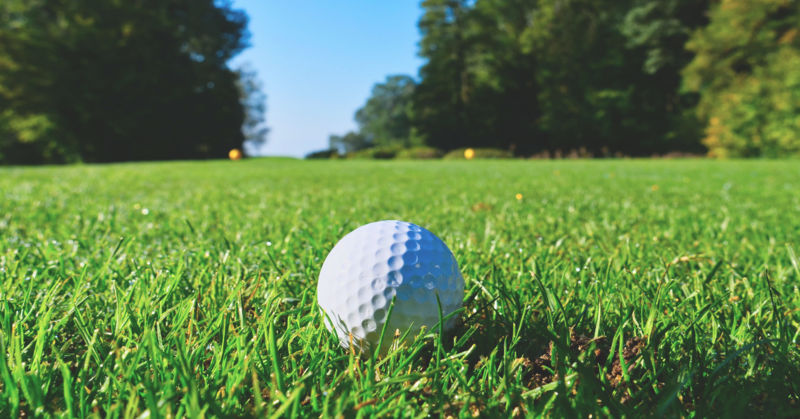 So as you see, inbound marketing and golf really do have a lot more in common than you probably thought. The next time you’re out on the links or creating your next inbound marketing campaign, keeping these 5 tips in mind will surely help you improve your game or the amount of leads you bring in to your website. Interested in learning more about how we can help improve your inbound marketing game? Contact us today! We’d love to learn more about you and how we can help. For those in eCommerce, check out our comprehensive guide all about inbound marketing for eCommerce!